This show is a monthly power hour of comedy! 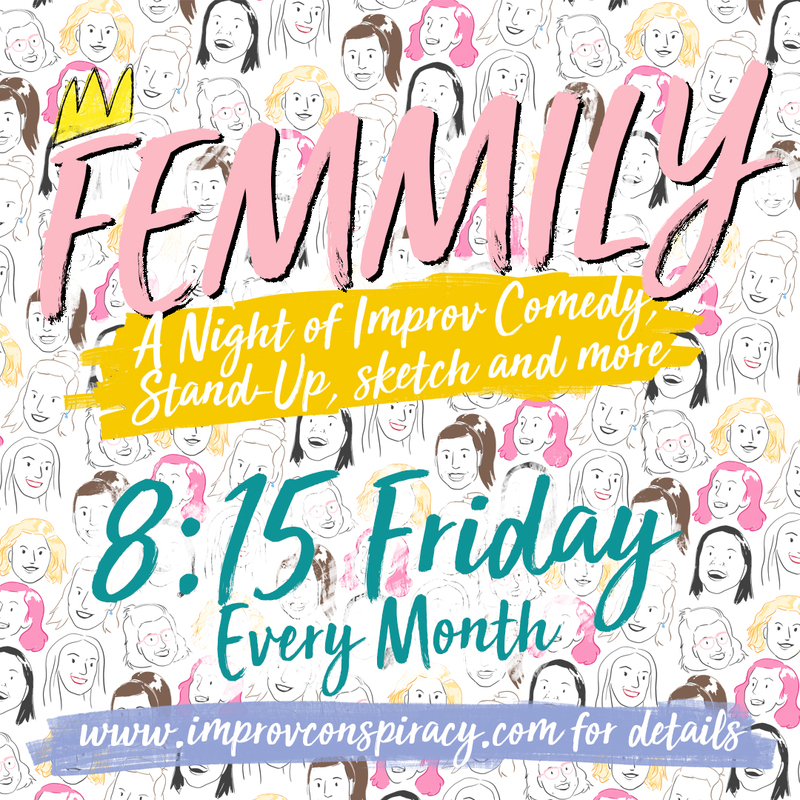 Launching off the success of their sold-out ‘Conspiracy Up Late’ and ‘Mother’s Day Special’ variety shows, FEMMILY now have their very own place at The Improv Conspiracy Theatre in Melbourne. Each show you’ll catch improv comedy troupe FEMMILY along with a changing line-up of guests performing stand-up, sketch, song and more! With just one hour to pack so much in you can be sure that YOU. WILL. BE. ENTERTAINED!!! FEMMILY consists of an all female ensemble cast that includes Ange Chan, Rebecca Kate, Caity Staples, Elizabeth Donald, Indiana, Megan Mitchell and Mon Reid. FEMMILY met, made each other laugh, started a facebook group chat and formed as an improv team (the natural progression) in early 2016. FEMMILY is a perse group of improvisers, each with their own hidden talent. Their shows are all about the friendships and strange interactions or events that can occur in close quarters, so come along and meet some lovable and silly people as they find themselves in some very unpredictable situations.